Laminate allows you to get the look and feel of real domestic wood, exotic wood, and stone for the fraction of the cost. Laminate can visually replicate the look of these materials by using a highly-detailed photo laid underneath a protective coating. options with how you want to stylize your laminate flooring. is one of the most durable flooring options and is perfect for high-traffic areas. making it an affordable and easy-to-install flooring choice. flooring. It’s very robust and damage-resistant. available for you to choose from. High-traffic areas. Laminate flooring is scratch and stain resistent, making it a great choice for foyers and main hallways. avoid excessive moisture on laminate, or any flooring for that matter. Get your free estimate on laminate today! 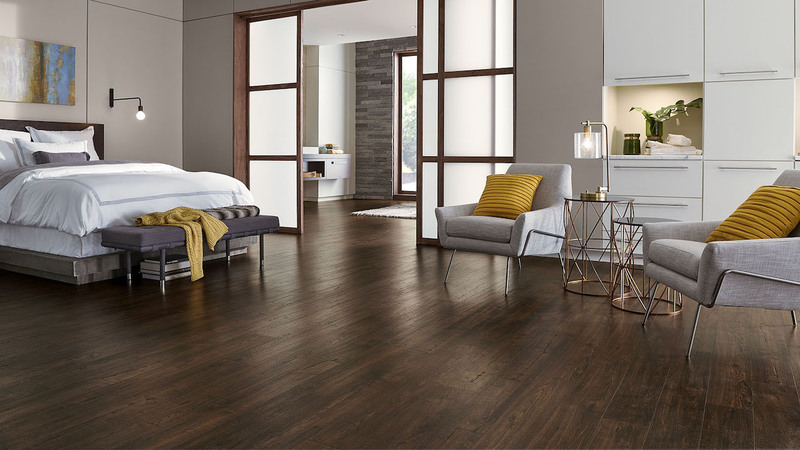 Visit Sherwood Flooring to browse our large inventory of laminate products. We’ll help you choose the perfect style and stay within your budget.